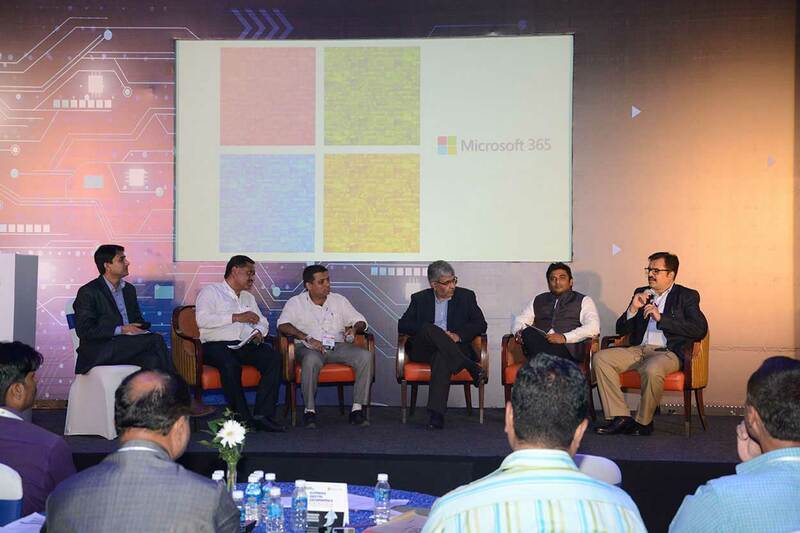 With an aim to impart a broader understanding of using emerging technologies for government organisations, the Express Computer and Microsoft India organised the Express Digital Governance Series, in Pune, recently. 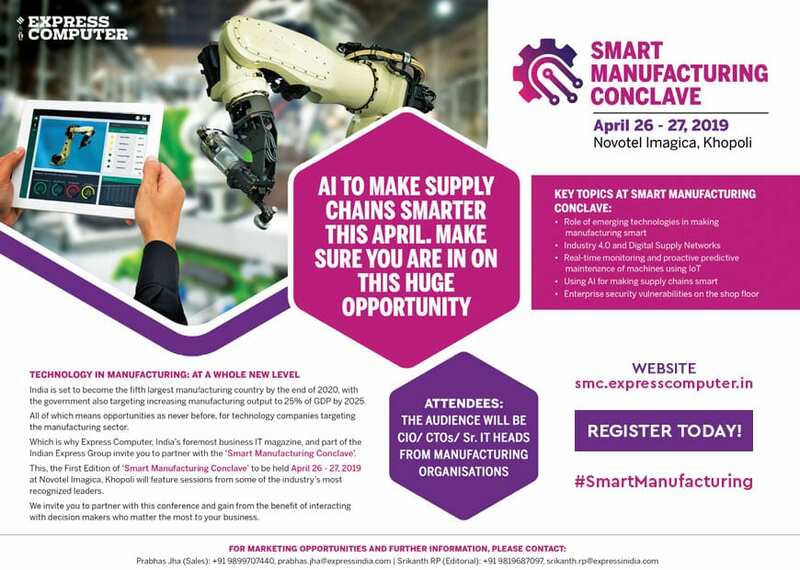 Thought leaders, visionaries, policy makers and IT heads from various government departments came together to discuss and debate the potential that new technologies such as artificial intelligence and use of cloud could have on the digital transformation journey of public sector enterprises. The conference began with keynote address by Ashutosh Chadha, Group Government Affairs Director at Microsoft India, who highlighted the use of ‘cloud technology for the good’. He began his presentation by elaborating the greater good that technologies such as artificial intelligence can bring to the society, but asserted that AI has to be human. 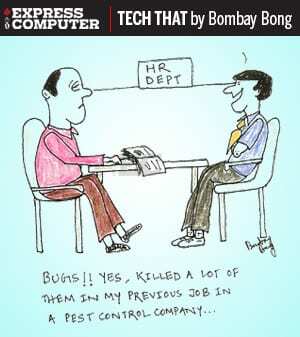 “As we moved towards adopting AI in our life. It is really important for us to understand the different use cases for the real-life situations and ensure that there is no bias, it is not being used for wrong purposes and against a human being. For that we will have to set a greater ethical standard for using AI,” stated Chadha. With the help of a power-point presentation, Chadha showcased some of the futuristic uses of AI, machine learning and its impact on governance and human beings. He was of the view that governments had to re-imagine its role in the light of automation of services with the proliferation of technologies. He urged the government IT heads to consider ethical standards and human angle of the technology while formulating a policy to use emerging technologies. The chief guest of the programme, Sandip Garg, Commissioner, Income Tax Department, Pune concurred the possibilities and challenges raised by Chadha on the use of AI, saying that the government needed to take a deeper view of use cases. During his address, Garg not only focused on emerging technologies but he also gave a broader path of digital governance in India. Making reference to the Digital India programme, he said mission-mode programmes which were envisaged in 2006 had paid dividend. “Today, we have some of the very successful e-governance projects in India like Aadhaar, GST, and digitisation of Income Tax, Passport Seva. These projects have changed the way we think about government to citizen services,” he mentioned. Apart from the benefits, he also focused on challenges, especially the challenge of connecting the last mile. “The emerging technologies will not be effective if we are not able to create the basic infrastructure to connect people,” said Garg, adding that the government’s BharatNet and the emergence of Reliance Jio have eased this pressure. Highlighting on local languages, he praised tech companies for incorporating Indian languages, but urged that more and more organisations should come forward to offer solutions in Indian languages. “India is a country of different languages. A high level of awareness related to technology and cyber security needs to be created, therefore solutions should be made available in the language that people could understand,” he added. An interesting presentation was made by Sikharendu Mitra, Principal Solution Specialist, Microsoft India, on the topic of “Data Analytical and Visualisation”. With different graphs and live pages, he explained eloquently about the importance of visualisation and how it could help government organisations in having better visibility, leading to good policy framework. The conference also featured a panel discussion on “Emerging Technologies for Effective e-Governance” moderated by Mohd Ujaley of Express Computer. The panelists discussed various challenges faced by government organisations and how emerging technologies could help in solving those issues. Participating in the debate, Suraj Dinkarrao Mandhare, CEO, Zilla Parishad, Pune spoke about various e-governance project being undertaken by his organisation to improve citizen service delivery. He said that his organisation has a robust system of citizen service delivery and the efforts are being made to improve it further. Agreeing with Mandhare, M.V. Badari Prasad, Additional Commissioner, Central GST said that his department has also pepped-up focus on technology. “We are looking to improve tax compliance with the help of technology,” affirmed Prasad. Participating in the debate, Rahul Jagtap, HOD IT, Pune Municipal Corporation informed about different IT-related programmes run by the PMC. He asserted that the corporation was taking all necessary action to ensure that the government to citizen services are provided in a friendly way. He emphasised that the next wave will be about mobile. “Our services have to be mobile friendly because this is the medium on which a large number of people are accessing the Internet,” Jagtap said. 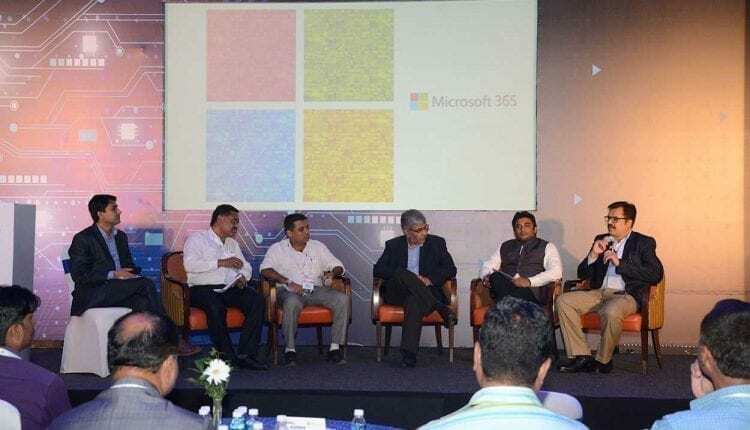 Sharing his views on technology, Chadha of Microsoft India said that cloud technology has completely changed the way people use to imagine IT infrastructure. Now, they are able to launch services quickly and at less cost. A major attraction at the event was the showcase of Microsoft Surface devices. Microsoft team was on the spot to give the first-hand experience of surface devices. They informed about different functionalities, features, and security aspect of Surface laptops.